The Indus Valley civilization, one of the world’s oldest, flourished during the 3rd and 2nd millennia B.C. and extended into northwestern India. Aryan tribes from the northwest infiltrated onto the Indian subcontinent about 1500 B.C. 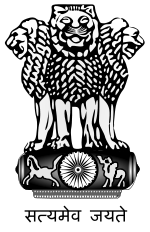 ; their merger with the earlier Dravidian inhabitants created the classical Indian culture. The Maurya Empire of the 4th and 3rd centuries B.C. – which reached its zenith under ASHOKA – united much of South Asia. The Golden Age ushered in by the Gupta dynasty (4th to 6th centuries A.D.) saw a flowering of Indian science, art, and culture. Islam spread across the subcontinent over a period of 700 years. In the 10th and 11th centuries, Turks and Afghans invaded India and established the Delhi Sultanate. In the early 16th century, the Emperor BABUR established the Mughal Dynasty which ruled India for more than three centuries. European explorers began establishing footholds in India during the 16th century. By the 19th century, Great Britain had become the dominant political power on the subcontinent. The British Indian Army played a vital role in both World Wars. Nonviolent resistance to British rule, led by Mohandas GANDHI and Jawaharlal NEHRU, eventually brought about independence in 1947. Communal violence led to the subcontinent’s bloody partition, which resulted in the creation of two separate states, India and Pakistan. The two countries have fought three wars since independence, the last of which in 1971 resulted in East Pakistan becoming the separate nation of Bangladesh. India’s nuclear weapons tests in 1998 caused Pakistan to conduct its own tests that same year. In November 2008, terrorists allegedly originating from Pakistan conducted a series of coordinated attacks in Mumbai, India’s financial capital. Despite pressing problems such as significant overpopulation, environmental degradation, extensive poverty, and widespread corruption, rapid economic development is fueling India’s rise on the world stage. In January 2011, India assumed a nonpermanent seat in the UN Security Council for the 2011-12 term.